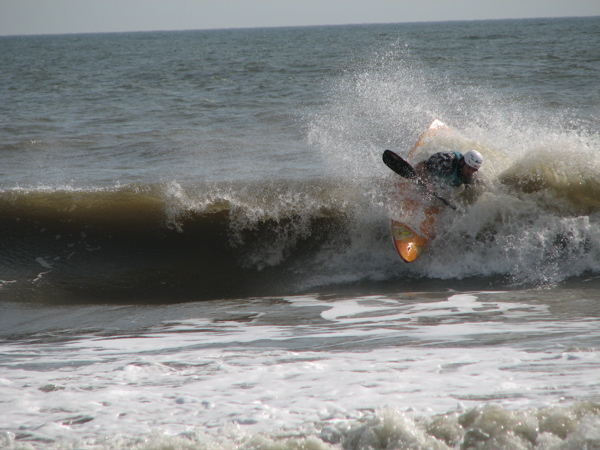 Two athletes from the Carolinas recently qualified for the United States Surf Kayak Team and plan to compete in the 2009 World Championships, to be held between July 23 and August 2 in Santa Cruz, Portugal. Spencer Cooke and Joey Hall are of a select few kayak surfers who made the US East team by placing highly in a two-year event circuit, qualifying them for the team trials. Donate to help these two drug free athletes make it to the World Championships. Cash donations are tax deductible if made to the Eastern Surf Kayaking Association, which is a 501(c)(3) Non-Profit organization. Send checks to ESKA, 5407 Ulloa Pl, Wilmington NC 28412. A receipt will be mailed back for your records. Other donations may be made by credit card. Cooke and Hall enjoying a sunny day in the surf. The US East Team Trials culminate the circuit and determine who will represent the country in the World Championships. The two placed first and second at the qualifier, a dual-event in Jacksonville Florida (full results HERE), and have been preparing throughout the Spring for the most highly contested event in this sect of the sport. Hall is originally from North Augusta SC and graduated from the University of South Carolina in Columbia. Cooke is a Boone NC native, transplanted to Fairview six years ago and resides there with his wife and son. 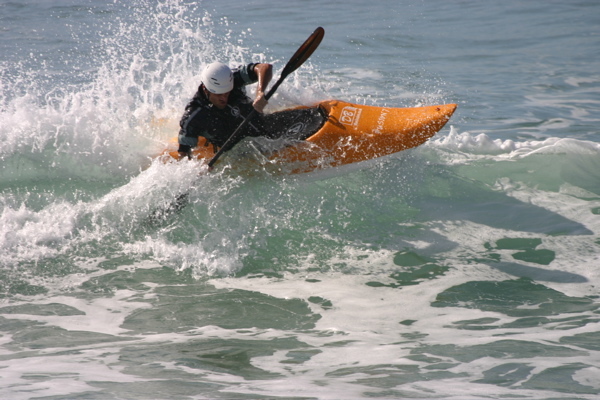 Both athletes have been kayaking and competing in whitewater and surf for around ten years. 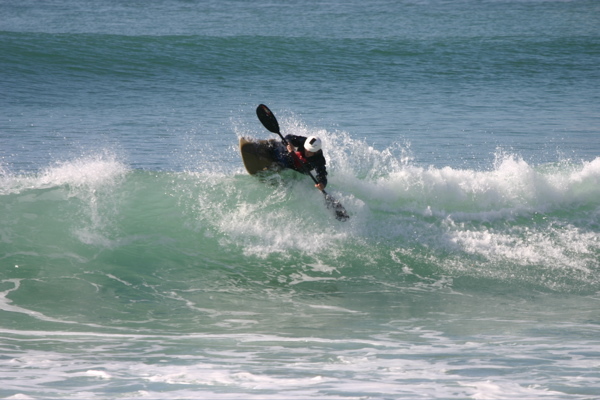 Surfing in kayaks is performed similarly as surfboarding, with surf-specific kayaks which look like surfboards on the bottom, fins and all. 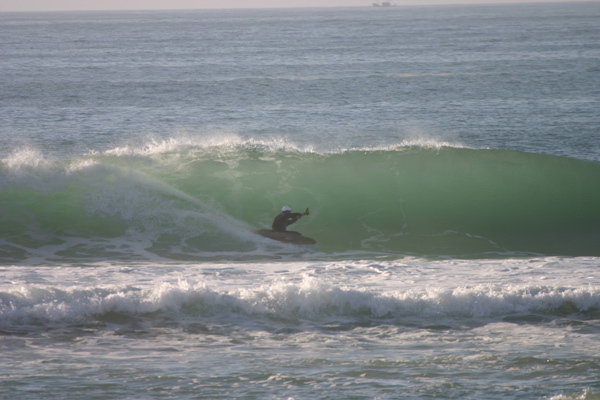 National and World level competitions are typically broken into two divisions, High Performance or HP, akin to short surfboards, and International Class or IC, comparable to long surfboards. “Spencer and I have paddled and worked together for over ten years and we constantly help and encourage each other with our kayaking. Both of us have qualified for the US Team in the past, but this will be our first World Championships together as teammates. We are usually neck and neck in competitions. 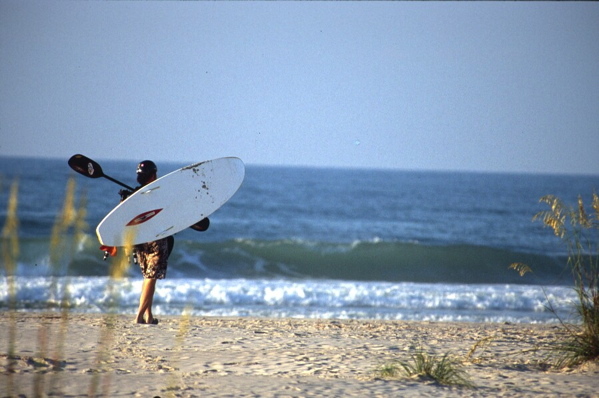 In the 2006 National Championships at the Outer Banks we placed 1st and 3rd in the IC division,” commented Hall. The two have shared the podium more than once. In the 2002 Nationals they placed 1st and 2nd in the Freestyle Class. Hall even placed in the top ten at a previous World Championships. Cooke and Hall have made work and play synonymous, both athletes, brand representatives and entrepreneurs in the kayaking and outdoor industry. Spencer owns and operates Effort Inc, a sales and media company, focusing primarily on video production. Similarly, Joey owns and runs Deadman Productions LLC, also a media company, specializing in graphic design and illustration. 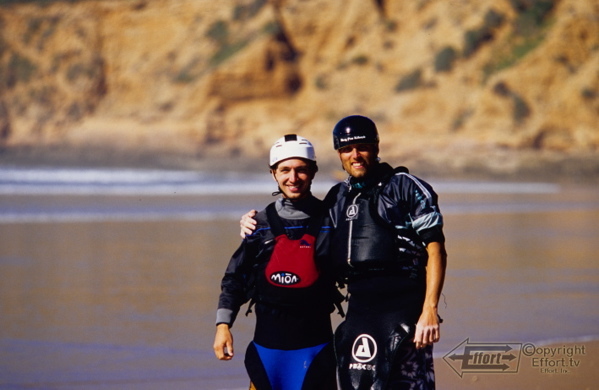 The two have regularly collaborated to produce several popular kayak films, web sites and other products related to the paddlesports and the outdoor recreation industry. Hall is currently producing a kayak surfing film entitled INTERFERENCE, which chronicles his kayaking and travels through Spain, Portugal, Morocco, the US and Ecuador. Cooke recently worked to design and build three new kayaks, which they plan to compete in at the coming World Championships. Interference: a Kayak Surf Film – Trailer #2 from joseph hall on Vimeo. “We’ll definitely miss our friends and families during the trip overseas, but hopefully we can make them proud with our competition performance. We can’t promise a gold medal but will, without a doubt, represent our hometowns and the USA honorably. I already miss my son and wife and I haven’t even left yet. At the same time I’m really excited to give this competition my best shot,” says Cooke. Both kayakers are leaving jobs and family for the Championships and are seeking donations and sponsorship to cover the costs of their trip. The cost per person is expected to be a minimum of $3000, including airfare, lodging, travel, entry fees and more. Hall and Cooke hope to cumulatively raise at least $6000 and are offering products and services as tokens of appreciation for donations to their cause. Cash donations are tax deductible if made to the Eastern Surf Kayaking Association, which is a 501(c)(3) Non-Profit organization. Checks may be written to ESKA and mailed to 5407 Ulloa Pl Wilmington NC 28412. A receipt will be mailed back for your records. Other donations may be made by credit card. Donations will be recognized with gifts of appreciation – Stickers, Kayaking Posters, DVDs, T-Shirts or Sweatshirts. Those making premiere level donations may opt to take a day of complimentary kayaking instruction from Cooke or Hall. Before their departure to Portugal, the two plan to host a local fund raising event where they will premiere Hall’s newly completed kayak surfing film. Also, there are plans to host presentations locally upon the return of their trip. These presentations will be held at community centers or schools and will focus on the healthy and enjoyable aspects of the sport of kayaking and outdoor activities as well as an exhibition of the athletic performance at the World Championships. Venues to be announced. Donators and onlookers may vicariously represent the country at the World Championships by staying tuned to http://drugfreelifestyle.com where the two will post all their competition reports, photos and videos. “As athletes and opinion leaders in our sport we feel morally obligated to promote a Drug Free Lifestyle, one that we both personally live and believe in. With more and more young and impressionable people being exposed to kayaking and other alternative sports we decided that there needs to be a voice and example out there saying, it’s okay not to use drugs, drink or smoke.” Stickers, t-shirts and the website are a few ways the two are promoting the image.